Kiwi berries are edible berry- or grape-sized Berries similar to the fuzzy kiwi Berries in taste and appearance, with thin, smooth skin. They are primarily produced by of three species of kiwi Berries; hardy kiwi (Actinidia arguta), Arctic beauty (A. kolomikta), and silver vine (A. polygamy). They are fast-growing, climbing vines, durable over their growing season. They are referred to as kiwi berry, baby kiwi, dessert kiwi, grape kiwi, or cocktail kiwi. The cultivar ‘Issai’ is a hybrid of hardy kiwi and silver vine which can self-pollinate. Grown commercially because of its relatively large Berries, Issai is less hardy than most hardy kiwi. 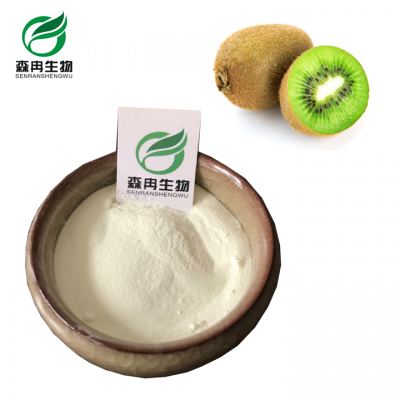 Kiwi Berries powder can prevent senile plaque formation and delay the human senescence.